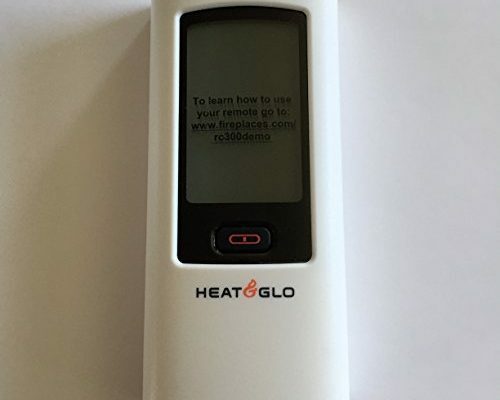 HHT - No generics replacement remote transmitter RC300-HNG for Hearth & Home gas stoves and fireplaces. Heat n glo rc300 transmitter part #2166-330 Original HHT Parts. Fits the following hht gas fireplace models: heat n glo gas fireplaces: 6000cl-ipi-t & 8000clx-ipi-t esc-42st - after serial # 0022120860 escape-i30-c escape-i30-f escape-i30fb escape-i35-c escape-i35-f escape-i35fb mezzo36 mezzo36st mezzo48 mezzo48st mezzo60 mezzo60st mezzo72 mezzo72st primo48 primo48st primo60 primo60st primo72 primo72st true-36s, true-42h & 8000cl-ipi-s 8000clx-ipi-s & 6000clx-ipi-t 8000cl-ipi-t & true-42c true-50s, true-36h & 6000cl-ipi-s 6000clx-ipi-s & truE-36C TRUE-42S, TRUE-50H & TRUE-50C Heat N Glo part # 2166-330 May fit other models. Please check your owners manual for part numbers. Used for lP and NG units. Original HHT Parts. PayandPack MFB160B - Universal type for most real fire flame / gas fireplace. Length x width x Height Inches: 12. 75 x 4. 5 x 4. 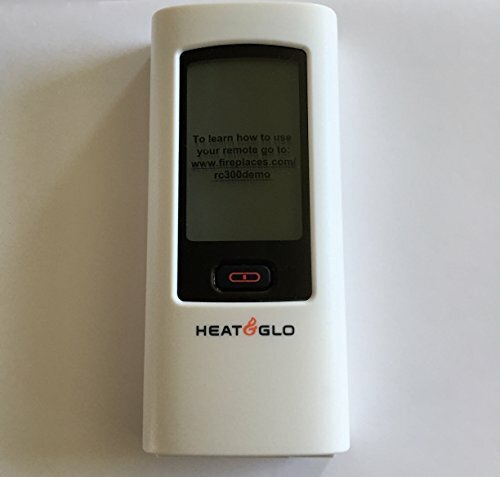 5 ; insulation: class h rated to 392f / 200c ; Motor RPM: 3000 ; Airflow in C. F. M: 160 ; volts: 120 ; frequency hertz: 60 ; power consumption watts: 60 ; power cord length inches: 75 ; rheostat: yes ; thermostat: yes, shutoff at 90 degreeF / 32 DegreeC ; Material: Aluminum + Galvanized Steel ; Packaging Materials: Shipping box, Thermostat, Foam ; Certifications: Rheostat, Temperature: Activate at 120 DegreeF / 50 DegreeC, Bubble Wrap, Motor UL Approved. Included with purchase ball bearing dual blower, noise reduction padding, Pre-wired harness for easy installation, Rheostat variable speed control, 3-prong power cord, Rubber mounting feet to reduce noise and vibration, Velcro, Magnetic thermostat, Installation instructions. Fits fireplace brands find models in images: heat & glo, heat n glo, majestic, heatilator, superior ;★ The "Fits" BRAND and MODEL # are Reference ONLY! Please CHECK the Size & Ratings of your originals BEFORE buying. Durablow GFK-160 Fireplace Stove Blower Complete Kit for Lennox, Superior, Heat N Glo, Hearth and Home, Quadra Fire, Regency, Royal, Jakel, Nordica, Rotom - Competitor cross reference part #: gfk-160, fk26 dutchwest, 3315, a133, snv30, hb-rb166 hb-rb167, rotom r7-rb168 r7-rb168b, hb-rb168, valley comfort, gfk-160b, gfk-160a, fk-180 osburn, FAB-1600, Fasco 7002-1241, regency wood stove 846515, r7-rb27, pacific, HB-RB50, stardance, P168DBB. Included with purchase ball bearing dual blower, velcro, Pre-wired harness for easy installation, Rubber mounting feet to reduce noise and vibration, Noise reduction padding, 3-prong power cord, rheostat variable speed control, Magnetic thermostat, Installation instructions. Length x width x height inches: 12. 75 x 4. 5 x 4. - Offers the ease of making coffee 1 cup at a time. Your palate will be fond of this decadent coffee, where the creamy caramel taste is lightly accentuated by a hint of vanilla. Universal type for most real fire flame / gas fireplace. Includes 24 single-cup servings K-Cups. Fits fireplace brands find models in images: heat & glo, heat n glo, heatilator, majestic, superior ;★ The "Fits" BRAND and MODEL # are Reference ONLY! Please CHECK the Size & Ratings of your originals BEFORE buying. Competitor cross reference part #: gfk-160, hb-rb50, valley comfort, r7-rb27, 3315, hb-rb168, snv30, gfk-160a, hb-rb166 hb-rb167, fk26 dutchwest, fasco 7002-1241, pacific, gfk-160b, FAB-1600, rotom r7-rb168 r7-rB168B, a133, regency wood stove 846515, fk-180 osburn, stardance, P168DBB. Included with purchase ball bearing dual blower, rheostat variable speed control, Magnetic thermostat, 3-prong power cord, Noise reduction padding, Rubber mounting feet to reduce noise and vibration, Pre-wired harness for easy installation, Velcro, Installation instructions. Van Houtte FLAVORED Coffee * BUTTERSCOTCH Caramel * Light Roast - includes 24 K-Cups for Keurig Brewers - Length x width x height inches: 12. 75 x 4. 5 x 4. 5 ; insulation: class h rated to 392f / 50°c, thermostat, shutoff at 90°f / 200c ; motor rpm: 3000 ; airflow in c. F. M: 160 ; volts: 120 ; frequency hertz: 60 ; power consumption watts: 60 ; power cord length inches: 75 ; rheostat: yes ; thermostat: YES, Temperature: Activate at 120°F / 32°C ; Material: Aluminum + Galvanized Steel ; Packaging Materials: Shipping box, Bubble Wrap, Foam ; Certifications: Rheostat, Motor UL Approved. Binney & Smith 04-0384 - Ensure the entire label and any leftover adhesive is discarded before placing crayon in the Melter. Hold crayon melter unit straight up & down with tip flat on paper. Make sure cap is closed. Inside the box: crayon melter unit, 3 cardstock Sheets, Storage Base, 8 Crayons, power adapter, 1 Wrapper Ripper & Instructions. Winner of parents Best Toy Awards 2018! Use scrap paper to clear out Melter between colors. Universal type for most real fire flame / gas fireplace. Includes 24 single-cup servings K-Cups. If you plan to change colors and wish to avoid color mixing, wait for the Crayon Melter to cool down and clean it between colors. Crayola Crayon Melter, Crayon Melting Art, Gift for Kids, Ages 8, 9, 10, 11 - Now you can make Crayon drip art without a hair dryer. Plan out projects using lighter colors before dark, for easy color transitions. Important: please make sure this item fits in your fireplace, see size and models in images. Regularly wipe Melter tip with paper towel to clear buildup. Product description run for the shelves and grab your old box of crayons, because there's a new way to color your world with Crayola crayons! Our Crayon Melter brings renewed life to Crayola crayon sets everywhere with melted crayon artwork that's easier than ever before to create. Fits fireplace brands find models in images: heat & glo, heat n glo, heatilator, majestic, superior ;★ The "Fits" BRAND and MODEL # are Reference ONLY! Please CHECK the Size & Ratings of your originals BEFORE buying.